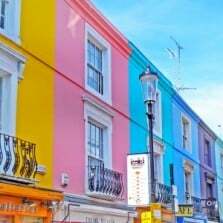 Notting Hill is the condensation of the best of London – its diversity, counter-culture, and its paradoxes – recently still the home of the race riots and slum landlords, it has now grown into London’s most elite district. 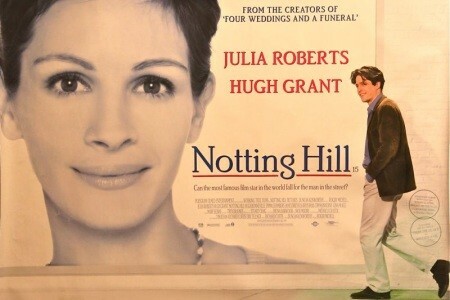 Home to Jimmy Hendrix, Prime Minister Cameron and many a celebrity, that’s also the place where Hugh Grant and Julia Roberts fall in love forever. Our Portobello tour is offered on Fridays at 10am by reservation. We explore this compact, intimate area known for its wide-ranging flea market, we find out why Julia Robert’s blue door is nowhere in sight, we encounter the area’s vibrant, cosmopolitan community, we enjoy its unique architecture, we drive ourselves dizzy with antique stores and extravagant British bric-a-brac vintage. And why the name of “Portobello”, by the way?! We shop, we gawk, we eat, we stroll and we peruse through stores and gardens and streets and back alleys. 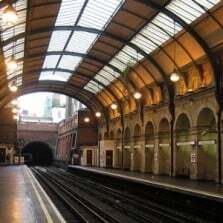 A true London experience, slow-paced, exuberant, and full of surprises, in the company of a true Londoner as your guide. This small-group tour is limited to 12 people, ensuring you’ll receive personalized attention from your guide. We meet outside tube station Notting Hill Gate, exit 1, at street level, outside the “Book Warehouse” bookstore. Official address is 74 Notting Hill Gate W11 3HT. You will discover what is possibly the world’s largest antiques market, a gigantic treasure trove for British fashion and eccentricity. We will relive the exciting 50 years when that “massive slum, crawling with rats and rubbish” turned around and became the nest of choice of the world’s greatest celebrities – from Jude Law to Madonna. $24 for kids 13 and under.